Hackney residents are fighting against the redevelopment of a historic East London market, demonstrating how a diverse community can reject neoliberalism’s deterioration of community space and offer grassroots, democratic solutions. 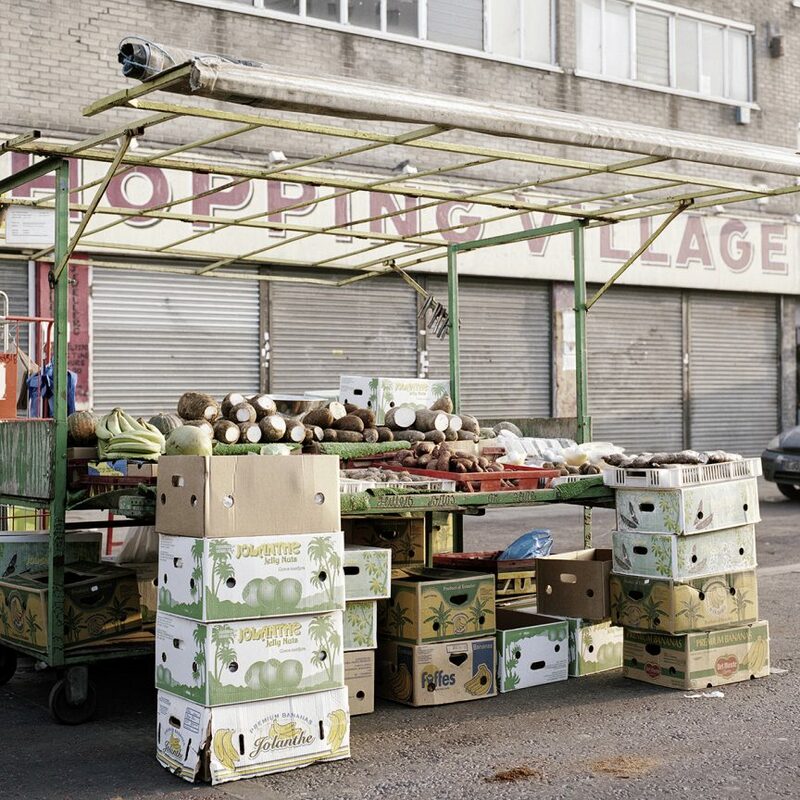 Since the late 1880s, Ridley Road Market has been integral to Dalston. Open six days a week, the 150-stall market is known for its lively music, internationalism and the inexpensive food and household goods that thousands depend on. This is in sharp contrast to many other East London markets, where costly street food and artisan products are largely inaccessible to working class locals. Yet the market’s future is precarious. Towards its east end lies Ridley Road Shopping Village. This is a commercial building providing storage for street traders in the basement. It is occupied by 20 stall-holders on the ground floor and 60 artists whose affordable studios are on the first and second floors. It is also the battleground of a struggle against the offshore developer Larochette Real Estate Inc., who bought the site in 2016 and plans to redevelop it into luxury flats, office and retail space. This gentrification would change Ridley Road’s character irrevocably, arguably destroying it permanently. The situation escalated in October 2018, when traders at the Shopping Village were threatened with eviction and given two weeks to vacate. Following an outpouring of protest, stall-holders were guaranteed six more months to continue trading. However in the weeks since they have received a series of restrictive new contracts – and each time have been given only seven days to sign new terms. While some residents have already left the market, potentially due to the developer’s intimidating tactics, others have been left in a state of limbo waiting for finalised contracts. Meanwhile, Hackney Council, the owners of the street market, are yet to object to Larochette’s planning application. This inactivity could be interpreted as a commitment to Ridley Road’s ‘regeneration’. In a similar vein, the Mayor of London, Sadiq Khan, has recently pledged a regeneration fund for Ridley Road of £1.5 million. This coincides with negative media coverage the dispute has received over the last few months and the finer details of how the proposed funds will be allocated are still abstract. Improvements need to be made for the residents and customers using the space, but there is a consistent history of traders becoming marginalised, while being left out of the consultation and decision-making process. This contributes to a heightened sense of trepidation; that any new funding could result in the market becoming desirable to developers, at the expense of long term commercial tenants. Equally key to Ridley Road’s future is another building located to the west of the Shopping Village; Ridley Road Villas. Currently a hostel for homeless people, its basement offers further storage space for the market. However, Aitch Group, an East London property developer, controls the Villas’ management company. Should the Shopping Village traders be evicted, it could be the thin end of the wedge; Aitch Group could develop the impetus to apply for a ‘stylish and innovative’ complex of flats. Due to the current residents’ lack of political power, it seems unlikely that they would be able to fight against being forced out. 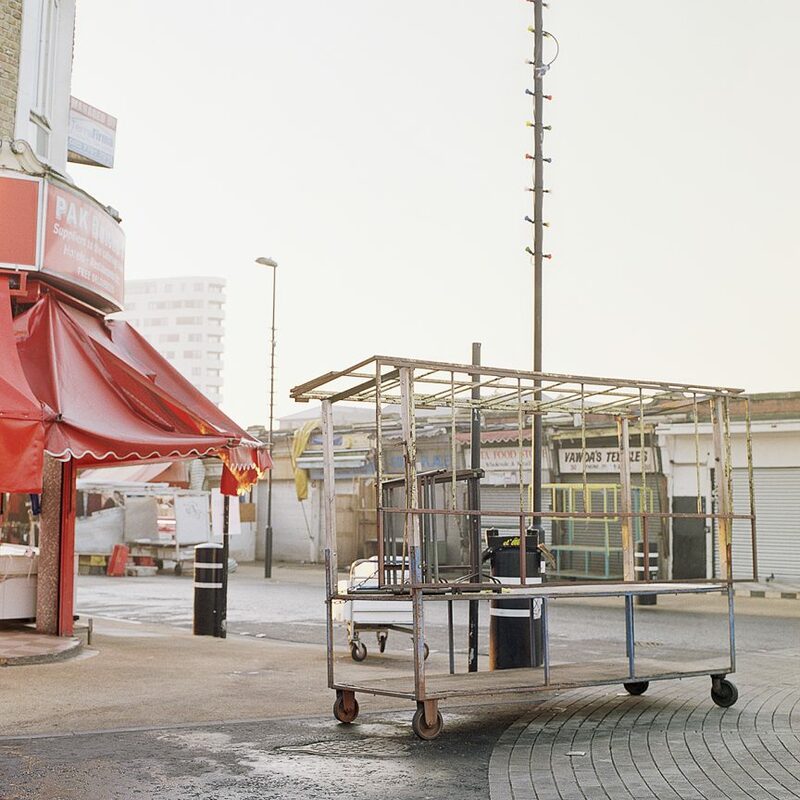 While the fate of Ridley Road is crucial to Dalston’s future, it is part of a wider chain of events concerning neoliberalism and its exchanges between space and power. Locals have been disillusioned with Dalston’s rapid gentrification for a number of years; the Dalston Square development was one of the ‘most-opposed’ regeneration projects. It demolished The Four Aces Club, a ground-breaking music venue, to make way for a complex of mostly unaffordable flats, restaurants and shops and remains a physical manifestation of the economic disparity which exists in the area. Additionally, development struggles separate to the Ridley Road confrontation point towards continuing gentrification as an encroaching strategy. Debate surrounds Gillett Square, where a two million-pound scheme aims to ‘revamp affordable workspace’, and, though still in consultation, a Crossrail 2 station in Dalston could have an unparalleled effect area-wide. As space is appropriated in pursuit of the maximisation of profit, exceptional measures used by property developers proliferate, and as those who make up spaces such as Ridley Road represent non-conforming uses in terms of neoliberal capital relations, they are excluded. Replaced by soulless developments, long-established communities are broken up, producing marginalisation and atomisation. This empowers neoliberalism, attempting to politically disable the working class, and can be traced back to 1980s Thatcherism. But despite the influence, wealth and power of their opponents, Save Ridley Road has skilfully organised demonstrations, community meetings and, as well as pushing back the eviction dates, has reached their £3000 legal ‘fighting fund’ target. They have taken inspiration from Save Latin Village – a Tottenham-based protest group also battling against redevelopment – and are working to empower locals practically, offering focused guidance on, for example, submitting letters of objection to Hackney Council. Although what will happen next remains unclear, Save Ridley Road will continue to aid traders in fighting for their rights. In this way, if Ridley Road represents a microcosm of the attempt to cleanse cities to expand profitable activity, then the diverse interests who have united in their activism reveal how the resolute strategies of users can produce counter narratives. The long-running regeneration of Elephant and Castle has been a source of local acrimony for more than a decade. This week, the starkly differing fates of three of its best-loved cultural venues have raised new questions about Southwark council and developer Delancey’s approach to local residents and businesses, writes Ed Gillett. An impending earthquake is being used as a pretext to demolish Küçük Armutlu, a stigmatised Istanbul neighbourhood that is home to religious minorities, dissidents, leftists and banned militant groups. But residents aren't giving up without a fight. As campaigners in south east London occupy a community garden to stop it from being demolished by Lewisham council, environmental and social concerns converge, writes Andy Worthington. Opened on Great Portland Street as London temperatures dropped to minus ten, the Sofia Solidarity Centre squat housed close to two hundred rough sleepers by the time it was evicted. In addition to providing shelter to some of the city's most vulnerable people, the Centre served as a vigorous embodiment of the housing crisis and showed just how easy it could be to get people off the streets. University of Arts London students' union officer Sahaya James is facing dismissal from her role as campaigns officer, after leading a student campaign against the university's participation in gentrification. If James is sacked, it will set a dangerous precedent for the political autonomy of the student movement. It’s a familiar story to Londoners: the bulldozing of social-rented neighbourhoods to make way for luxury, market-rent housing. But with the planned demolition of the Foxhill Estate in Bath, London-model gentrification is breaching new frontiers.